Meghan (Meg) Barker, a sophomore from St. Louis, Mo., is the library’s new student employee of the month. 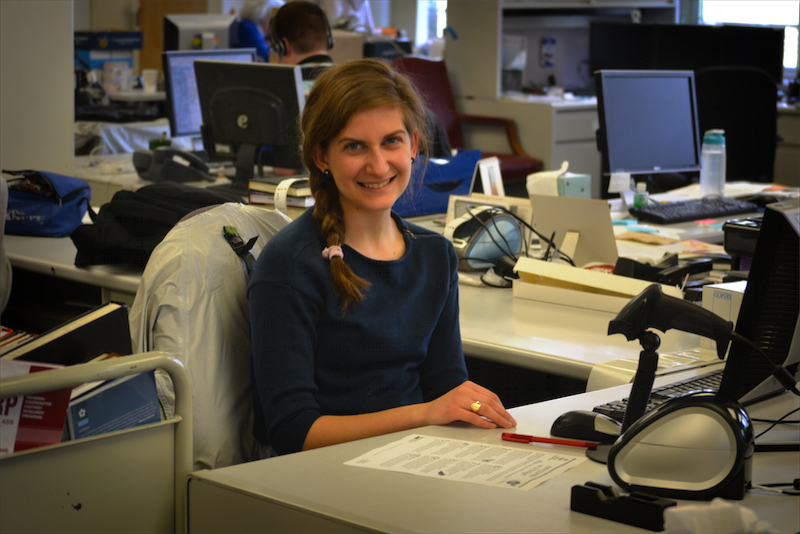 Meg has worked for 1 ½ years in the Resource Management Center as a library clerk, labeling and stamping new books. She reports to Roberta (Robbie) Rosci, Resource Management specialist. Meg is a global interdisciplinary studies major with minors in Spanish, sociology and peace and justice. She will be studying abroad in Copenhagen, Denmark, in the spring. After graduating from Villanova, she hopes to attend medical school and perhaps also study medical anthropology. Her hobbies are hiking, mountain biking and painting. Photograph and article by Alice Bampton, digital image specialist and senior writer on the Communication and Service Promotion team.